Doesn’t time fly? Or alternatively, things can last longer than you think. Wednesday marks the 10th anniversary of one of the defining events of the global financial crisis. There had been rumblings before, but Aug. 9, 2007 saw money markets seize up after BNP Paribas suspended three funds holding U.S. asset-backed securities, saying they were impossible to value and blaming a “complete evaporation of liquidity.” Central banks swung into action, led by the European Central Bank with an injection of €95 billion in liquidity. Ten years on, they haven’t stopped. In quick succession, 2008’s banking collapse, the eurozone crisis, a slowdown in emerging markets and finally the oil-price crash all posed major challenges. Together, the balance sheets of the ECB, U.S. Federal Reserve and Bank of Japan have grown to around $14 trillion in size. Indeed, the current central-bank debate is really about the beginning of the end of extraordinary monetary-policy measures. It is only in the last few quarters that global growth has become more synchronized. Inflation has remained low, allowing central banks to take a very gradual approach. The financial crisis still looms large in market psychology. The prevailing tone is one of worry about the high level of asset prices, concern about the low level of volatility and a fear of complacency: rising markets are a source of angst, not euphoria. But this persistent concern may yet be a positive factor, by helping to prevent markets from becoming too reckless. 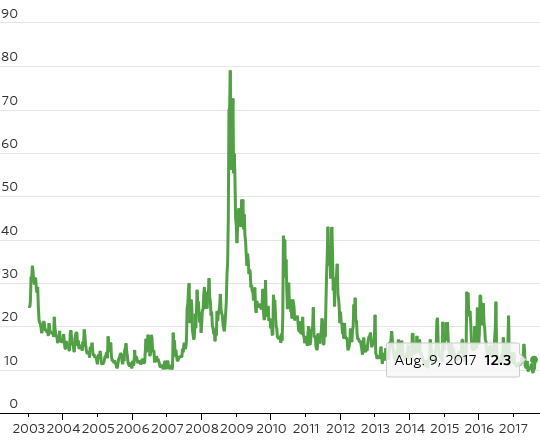 Low market volatility may simply reflect low economic volatility. BlackRock notes low-market-volatility regimes can last for years and have accompanied sustained economic expansions. Undoubtedly, a shock will occur at some point. Geopolitical tensions over North Korea are just the latest focus. China’s reliance on debt, persistent vulnerabilities in the eurozone, the removal of monetary stimulus and populist politics are all on the watch list. But the real time to worry should be when no one is worried. Ten years on from August 2007, that day has yet to arrive. This powerful and protracted bull market has made Cassandras look foolish for a long time. Those who went on record predicting that massive central bank manipulation of markets would not engender viable economic growth have been proven correct. However, these same individuals failed to fully anticipate the willingness of momentum-trading algorithms to take asset prices very far above the underlying level of economic growth. Nevertheless, there are five reasons to believe that this fall will finally bring stock market valuations down to earth, and vindicate those who have displayed caution amidst all the frenzy. Reason Number One: Budget and Debt Ceiling Showdowns in D.C.
Congress needed to shave two weeks off its August recess in an effort to make headway on raising the debt ceiling, which will hit the absolute limit by mid-October, and how to fund the government past September 30th of this year. Tea-Party Republicans, as well as Office of Management and Budget Director Mick Mulvaney, would like to add spending reform riders to the debt limit bill. But, U.S. Treasury Secretary Steven Mnuchin is looking to pass a “clean” bill. If Mnuchin gets his clean debt ceiling bill passed, the show-down will then move to the appropriations bills used to fund the upcoming fiscal year. For the past few years, Congress has been pushing through last minute continuing resolutions, rather than passing a budget, to provide funding at a rate of the previous year's funding. Not being able to make progress on either of these measures will lead to a government shutdown that could leave markets and Trump’s tax reform agenda in a tail spin. The Donald may find it very convenient to “Wag the Dog” before the year closes out. What is needed is a “fantastic” distraction from his failure to reach an agreement to repeal and replace Obamacare and to push through with a tax reform package. Also, an assault on Kim Jong-un’s nuclear facilities would go a long way in reducing the media’s obsession with Russiagate. The President and his administration held an emergency meeting on July 4th after North Korea fired its first ICBM into the Sea of Japan. Trump promised that a nuclear strike against the U.S. “won’t happen” and guaranteed, “A measured response” to the rogue regime. Trump also urged China to, “put a heavy move on North Korea” and to “end this nonsense once and for all.” Such a preemptive strike this fall would tilt the robot trading machines into a sell-button frenzy. On June 7th the spread between China’s 10 and 1 year Sovereign bond yields became negative. This was only the second time since 2005 that such an inversion occurred, and this time around it became the most inverted in history. An inverted yield curve, no matter what country it occurs in, is a sign of severe distress in the banking system and almost always presages a recession. A recession, or even just a sharp decline in China’s GDP growth, would send shock waves throughout emerging markets and the global economy. Indeed, on July 17th the major indexes in China all plunged the most since December 2016 due to investor fears over tighter monetary and economic controls from Beijing. If the yield curve remains inverted into the fall, look for exacerbated moves to the downside in global markets. The head of the ECB, Mario Draghi, stated in late June that deflationary forces have been replaced by reflationary forces. This simple statement sent bond yields soaring across the globe in anticipation of his inevitable official taper announcement that could be made as soon as September 7th. German 10-year Bund yields are still about 150 basis points below the ECB’s inflation target, and about 350 bps below implied nominal GDP. This means when Mr. Draghi actually starts removing his massive bid from the European bond markets yields should spike suddenly and in dramatic fashion—regardless of the pervasive weak economy. Rapidly rising borrowing costs on Europe’s over-leveraged economy would cause investors to worry about future growth prospects and send high-frequency front-runners scrambling for the narrow exit door at once. Most investors don’t understand that the Federal Reserve has been tightening monetary policy since December 2013 when it started to taper its $85 billion per month asset purchase program. Now, after QE has been wound down to zero and four rate hikes have taken place, the Fed will likely announce the actual start date for the selling of its balance sheet at its September FOMC meeting. This means it should begin dumping about half of the $4.5 trillion worth of Treasury and MBS holdings starting in Q4. The problem is that global central banks are tightening monetary policy as the economy weakens. For instance, U.S. GDP averaged about 2% since 2010; but has dropped to just 1.6% during 2016 and is just 1.4% so far in 2017. This additional supply of Treasury debt, coupled with the already soaring deficits (up 31% year over year), could send bond prices tumbling. This would exacerbate the move higher in bond yields caused by the ECB’s Tapering. That could be enough to send the passive ETF investing sheeple jumping off a cliff en masse. The end of central bank monetary accommodations, which is coming to a head this fall, is the primary reason to believe the odds for a significant stock market correction could be just a couple of months away. Rising debt service payments on the additional $60 trillion of debt incurred since 2008 is likely to be the catalyst that turns the market sentiment from greed to panic. Adding to this perilous situation is the record amount of NYSE margin debt outstanding, along with the fact that institutional investors have just 2.25% of their portfolios in cash—the lowest level since just prior to the start of the Great Recession, according to Citigroup. In other words, investors are levered up and all-in. Since the election of Donald Trump, the Dow Jones Industrial Average has reached a record high one out of every four trading days. And, according to Ned Davis Research, the S&P 500 hasn’t seen a pullback of more than 10% in almost 350 days, and it has been nearly 2100 days without a decline of more than 20%. The average days without such a decline is 167 and 635 respectively. This market is overvalued, overextended and extremely dangerous! Therefore, it is very likely this long-overdue market correction could be worse than the ordinary 20 percent decline. The upcoming stock market toboggan ride is not only starting from the second highest valuation in history, but also with the balance sheets of the Fed and Treasury already severely impaired. In other words, there just isn’t a lot of room left to lower interest rates or to run up huge deficits in an attempt to quickly pull the economy out of its downward spiral. It is time to put a wealth preservation strategy in place before the fall arrives. Donald Trump can whine all he wants, but we're now living in a world where American power is less relevant than ever. The Washington Post reported yesterday that North Korea has a large stockpile of compact nuclear weapons that can arm the country’s missiles, including its new intercontinental ballistic missiles that are capable of hitting the United States. That’s another way of saying: game over. Also: I told you so. There are really two assessments in the Post’s report. One, dated July 28, is that the intelligence community — not just the Defense Intelligence Agency, contrary to what you may have heard — “assesses North Korea has produced nuclear weapons for ballistic missile delivery, to include delivery by ICBM-class missiles.” The other assessment, published earlier in July, stated that North Korea had 60 nuclear weapons — higher than the estimates usually given in the press. Put them together, though, and its pretty clear that the window for denuclearizing North Korea, by diplomacy or by force, has closed. These judgments are front-page news, but only because we’ve been living in collective denial. Authors rarely get to pick titles, and almost never like them, but I think the editors at FP got this one about right. It is about as subtle as a jackhammer, although even so the message didn’t seem to sink in. Let’s walk through the evidence. North Korea has conducted five nuclear tests. That is really quite a lot. Looking at other countries that have conducted five nuclear tests, our baseline expectation for North Korea should be that it has a nuclear weapon small enough to arm a ballistic missile and is well on its way toward testing a thermonuclear — yes, thermonuclear — weapon. A lot of people got the wrong idea after North Korea’s first nuclear test failed, and subsequent nuclear tests seemed smaller than they should be. There was a common view that the North Koreans, well, kind of sucked at making nuclear weapons. That was certainly my first impression. But there was always another possibility, one that dawned on me gradually. According to a defector account, North Korea tried to skip right toward relatively advanced nuclear weapons that were compact enough to arm ballistic missiles and made use of relatively small amounts of plutonium. That should not have been surprising; both Iraq and Pakistan similarly skipped designing and testing a more cumbersome Fat Man-style implosion device. The disappointing yields of North Korea’s first few nuclear tests were not the result of incompetence, but ambition. So, while the world was laughing at North Korea’s first few nuclear tests, they were learning — a lot. And then there is the issue of North Korea’s nuclear test site. North Korea tests its nuclear weapons in tunnels beneath very large mountains. When my research institute used topography data collected from space to build a 3-D model of the site, we realized that the mountains are so tall that they may be hiding how big the nuclear explosions are. Some of the “disappointments” may not have been disappointments at all, and the successes were bigger than we realized. I think the best interpretation of the available evidence is that North Korea accepted some technical risk early in its program to move more quickly toward missile-deliverable nuclear weapons. The fact that North Korea’s nuclear weapons used less fissile material than we expected helps explain the second judgment that North Korea has more bombs than is usually reported. The defector claimed that North Korea’s first nuclear weapon contained only 4 kilograms of the limited supply of plutonium North Korea made, and continues to make, at its reactor at Yongbyon. (For a long while, experts claimed the reactor was not operating when thermal images plainly showed that it was.) The North Koreans themselves claimed the first test used only 2 kilograms of plutonium. Those claims struck many people, including me, as implausible at first. But they were only implausible in the sense that such a device would probably fail when tested — and the first North Korean test did fail. The problem is North Korea kept trying, and its later tests succeeded. Unless the intelligence community knows exactly where North Korea is enriching uranium and how big each facility is, we’re just guessing how many nuclear weapons the country may have. But 60 nuclear weapons doesn’t sound absurdly high. The thing is, we knew all this already. Sure, sure it isn’t the same when I say it. I mean, I am just some rando living out in California. But now that someone with a tie and real job in Washington has said it, it is news. The big question is where to go from here. Some of my colleagues still think the United States might persuade North Korea to abandon, or at least freeze, its nuclear and missile programs. I am not so sure. I suspect we might have to settle for trying to reduce tensions so that we live long enough to figure this problem out. But there is only one way to figure out who is right: Talk to the North Koreans. The other options are basically terrible. There is no credible military option. North Korea has some unknown number of nuclear-armed missiles, maybe 60, including ones that can reach the United States; do you really think U.S. strikes could get all of them? That not a single one would survive to land on Seoul, Tokyo, or New York? Or that U.S. missile defenses would work better than designed, intercepting not most of the missiles aimed at the United States, but every last one of them? Are you willing to bet your life on that? On a good day, maybe we get most of the missiles. We save most of the cities, like Seoul and New York, but lose a few like Tokyo. Two out three ain’t bad, right? I kid — but not really. Welcome to our new world. Don’t say I didn’t warn you. Following DER SPIEGEL's Football Leaks revelations, Cristiano Ronaldo could now face trial on tax-related charges. His fans are outraged, while others inlcuding the president of UEFA are furious -- at players' agents, who have dragged the professional sport into the mud. Football players with Real Madrid have a pretty good idea about where the best place to live in Madrid is: The La Finca luxury residential complex in the northwestern part of the Spanish city. The development, a 30-minute drive from the training grounds, consists of virtually identical, bunker-like luxury homes with landscaped gardens and pools. There is tight security at the entrance to the community, and there are small parks and ponds. The development is relatively shuttered from the outside world, except for those residents who jog on a path along the perimeter. Real Madrid stars Gareth Bale and Toni Kroos live in La Finca. Cristiano Ronaldo has been a resident for eight years, and his agent Jorge Mendes also owns a house there. The two men, who are good friends, met when Ronaldo was still an up-and-coming talent with Sporting Lisbon. Mendes owned a popular nightclub at the time, which gave him access to many professional football players. Ronaldo was looking for an agent. They formed a relationship and, in the coming years, conquered the world with football. One man shot the goals while the other handled the money. Today, neither man knows what to do with all his millions. When Mendes was married in the northern Portuguese city of Porto two years ago, Ronaldo, his best man, gave him a Greek island as a wedding gift. But now their journey could come to an end. The La Finca luxury development is in the town of Pozuelo de Alarcón, where the Ronaldo tax case will be heard in court on July 31, at 11 a.m. After the hearing, Judge Mónica Gómez Ferrer will decide whether the striker should go on trial. Spanish authorities accuse Ronaldo of evading 14.7 million euros ($17.1 million) in tax payments from 2011 to 2014. The top player could potentially face prison time if the case goes to trial. The place where Ronaldo's future will be decided stands in absurd contrast to the colorful life of the four-time winner of the Ballon d'Or, awarded annually to the world's best male player. The court building is next to a highway, the room where the hearing will take place is less than 30 square meters (about 300 square feet) and Ronaldo will have to sit on wooden chairs without cushions. Ronaldo's reputation is on the line in Pozuelo de Alarcón, as is that of the entire world of professional football. Lionel Messi and Neymar were already convicted of tax evasion. Is a third superstar next? It would mark a turning point if he was. What will people think of a sport whose biggest idol is lining his pockets at society's expense? DER SPIEGEL exposed Ronaldo's tax tricks last December. Clubs and football media barely acknowledged the report, which was based on documents from the whistleblower platform Football Leaks. When Ronaldo was officially under investigation by the public prosecutor's office seven months later, they pretended to be surprised and feigned incredulity. Why him? Could it be possible? Football ceased being the world's favorite pastime quite some time ago. In its most-extreme form, the world of professional football, the sport has become its own sector of the economy. The value added in the German national league, the Bundesliga, exceeds 8 billion euros ($9.3 billion), and 53,000 people make a living, directly or indirectly, through professional football. An entertainment industry that involves such large sums of money ought to be subject to greater scrutiny, and yet it isn't. Instead, a swamp has emerged in which dubious agents are able to go about their business undisturbed. The players benefit from the system, as their salaries keep going up and up. Cristiano Ronaldo was the greatest beneficiary in recent years. He is one of the world's highest paid athletes, earning about 40 million euros a year at Real Madrid. There are several luxury cars parked in his garage at La Finca, and he owns a private jet. But all of this was apparently not enough for him. There is no other way to explain why Ronaldo agreed to a tax savings model years ago to ensure he would have a few more millions for himself. This is how the construct worked: Two Irish companies, MIM and Polaris, collected the revenues from advertising and image rights. Mendes and Ronaldo were part owners of Polaris. The money was then transferred to an offshore company in the British Virgin Islands with a Swiss bank account. In the end, Ronaldo paid only 6 million euros in taxes on a total of about 150 million euros. The public prosecutor's office in Madrid views this construct as a "conscious and deliberate violation by the accused of his tax obligations in Spain." Through his attorneys, Ronaldo stated that he had not intentionally evaded paying taxes. If the case against him is allowed to go forward, the trial will also revolve around two questions: Who devised the offshore construct? And what did Ronaldo know? Ronaldo likes to invite friends and family members to parties at his house in La Finca, where guests play football in the yard. His agent, Mendes, sometimes makes an appearance. He isn't much of a football player, but he spends most of his time on the phone, anyway. Mendes is a workaholic and he always has several mobile phones with him, sometimes using them simultaneously. His agency, Gestifute, represents more than a dozen world-class players, and now the agent behaves like a star himself. Four weeks ago, when Mendes was summoned to testify in court in Pozuelo de Alarcón in the case against professional player Radamel Falcao, he arrived in a black, chauffeured limousine. Mendes is an impulsive man, but when the judge began peppering him with questions, he became increasingly restless in his seat. His agency, Gestifute, has its offices in Ulysses House, an expensive office complex in Dublin. Polaris and MIM, the two companies that have played a key role in the offshore construct, have their registered offices on the same floor. One of the managing directors of Polaris and Gestifute is Mendes' nephew Luis Correia. Another one, Irish national Andy Quinn, represents all three companies at Ulysses House. As a shareholder, Mendes has collected a total of 6 million euros in dividends from Polaris. Several Mendes players were summoned to appear at the court in Pozuelo de Alarcón in recent months. Colombian striker Radamel Falcao was questioned, and he has since paid the Spanish tax authorities 8.2 million euros. Portugal player Pepe has paid 1.8 million euros, Ángel Di María 1.3 million euros, Fabio Coentrão 1.3 million euros and Ricardo Carvalho 500,000 euros. The tax authorities' investigations of other players are still underway. Authorities are also investigating James Rodríguez, the Real Madrid player who moved to FC Bayern Munich on a two-year loan deal last week. As with the other Mendes players, his advertising revenues were also handled by Polaris and MIM. A company in the British Virgin Islands, Kenalton Assets, is also involved in the Rodríguez case. 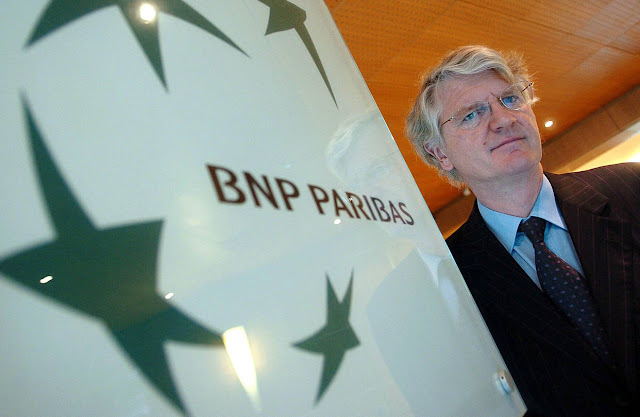 In late 2014, 12 million euros was paid into his account with St. Galler Kantonalbank. It is quite possible that FC Bayern will have to release its new player for a few days for his court appearances. Rodríguez did not comment on the proceedings when contacted by DER SPIEGEL. During his hearing at the court in Pozuelo de Alarcón, Mendes insisted that he had nothing to do with the networks of companies used by his clients. He said he had no understanding of such matters, and that he only deals with the processing of transfers. It is hard to imagine that the judge will believe him. Portugal national player Carvalho testified that he had always heeded the advice of Mendes and his attorney, Carlos Osório de Castro, in connection with his image rights deals, a claim the attorney denies. Falcao also provided information about the players' agent in his testimony. Many Mendes clients work with the same individuals or companies. They include attorney Osório de Castro, Miguel Marques, a banker with the Portugal branch of St. Galler Kantonalbank, and marketing agencies Polaris and MIM. Almost all the stars also use the same law firms to handle their tax problems. Is it all just a coincidence? Mendes' attorneys are apparently aware of how serious the situation is. The documents from Football Leaks include a memo with the headline "Gestifute Meeting." It reads: "Tax authorities versus Jorge campaign. Risk of being treated as a Cooperador Necesario. Criminal offense." In Spanish criminal law, it is possible to sue a person whose assistance facilitated a crime, as a "Cooperador Necesario." If the court in Pozuelo de Alarcón recognizes a Mendes system behind the players' tax evasion schemes, it could lead to the agent's downfall and the criminal prosecution of him and his close associates. No names are mentioned in the office of Aleksander Ceferin in Nyon, on Lake Geneva, including those of Ronaldo and agent Mendes. Still, it is obvious that the president of UEFA, European football's governing body, is furious. "It really isn't necessary to evade taxes when you make so much money," says Ceferin. Ceferin, a Slovenian who has been in office since September 2016, is keeping a close eye on the hearings in Pozuelo de Alarcón. As a lawyer, he believes that football players generally have no exact understanding of their finances. "Legally speaking, of course, they are responsible for their tax returns. But I don't believe that they knew what was going on. They have people around them who handle their accounts, and who say: 'Don't worry, we will take care of everything!' We are talking about men here who think about nothing but football every day. I know these players. They want this and that, but they certainly don't want to deal with taxes." Maybe Ceferin doesn't know Ronaldo well enough. The Football Leaks documents, which DER SPIEGEL was able to inspect, include contracts with the offshore company in the British Virgin Islands, documents signed by Ronaldo. Can someone who signs these types of documents truly claim that he knew nothing? After his tax affair became public, Ronaldo published a video on Instagram. It shows him jogging around his estate in La Finca, saying various things to the camera. Some friends are cheering him on in the background. Ronaldo says that he has a message for all those who are working against him, his "haters." They should carry on, he says, because it only encourages him. Then he jumps into his pool. But his relaxed mood was an act. In fact, La Finca has been in turmoil for months over the Football Leaks revelations. Last winter, DER SPIEGEL reported on the offshore activities of trainer José Mourinho. The neurotic top coach at Manchester United is also a longstanding Mendes client. After the publication of the exposé, attorney Osório de Castro wrote the following words to Mourinho's London PR firm: "The house is burning." Mourinho also once lived in La Finca. During his tenure as trainer at Real Madrid, from 2010 to 2013, he rented a villa for 20,000 euros a month. Mourinho had also had a tax model similar to that of the other Mendes clients developed for himself. The money -- about 6 million euros in 2011 and 2012 alone, was transferred from the Irish firms MIM and Polaris to an offshore company in the Caribbean, to which the trainer had relinquished his marketing rights. Since Mourinho was audited by the Spanish tax authorities in July 2014, the construct was discovered and the top trainer was ordered to pay a fine of 1.15 million euros a year later. He had gotten off lightly, and the case appeared to be resolved for Mourinho. But then DER SPIEGEL and its partners at European Investigative Collaborations, a research network, published details about his Caribbean company, which was backed by a trust in New Zealand. Ten days later, the New Zealand tax authority, Inland Revenue, contacted the trust in Auckland and demanded records. Mourinho and his associates were in turmoil. In an email, an attorney wrote that he was "certain" that the British tax authorities would now review Mourinho's tax position, as well. For this reason, the attorney advised against bringing any documents into the UK. Mourinho, who has been working for Manchester United since the summer of 2016, had had enough. The star trainer's banker informed his attorney: "To avoid any surprise or any media issue for the future," the coach had "decided to liquidate all structures that he owns." This realization comes too late to fend off the investigations by the Spanish tax authorities. They have taken Mourinho's Irish-Caribbean-New Zealand network of companies to task a second time and are now accusing him of not having paid taxes on more than 7 million euros in advertising revenues for 2011 and 2012, leading to an estimated tax loss of 3.3 million euros. The case could acquire criminal relevance, now that it has been taken up by the white-collar crime division of the Madrid public prosecutor's office. Mourinho claims he is unaware of any wrongdoing. The Real Madrid stadium is located in downtown Madrid, surrounded by office buildings. The Bernabéu Building is a cathedral to the business of football. Almost no other club in Europe spends as much money on players and trainers as Real Madrid. When the Ronaldo tax scandal boiled over in June, Real employees called the newspapers to ask that they no longer show any images of the striker wearing the club's jersey. The record-setting striker is still revered in the fan shop, however, where his jersey is displayed in the front of the shop. A poster of a smiling Ronaldo hangs on the wall behind the register where tickets are sold for stadium tours. A Real mascot wearing Ronaldo's jersey stands next to the register. José Luis Pardo Boal hasn't missed a Real home match in 22 years. He is one of the heads of La Coma, one of the oldest fan clubs, founded in 1973. The 51-year-old works as a security guard in an underground garage in downtown Madrid. He pays for season passes for himself, his son, his daughter and his niece. "Four thousand euros a year!" he says. The tax scandal? "We are interested in Ronaldo as a player. We don't care about the rest. If he has made a mistake, he will pay a fine. End of story," says Boal. He attributes the reporting on Ronaldo's tax offenses to the fact that everyone outside Madrid is envious of Real. "We are the best, which is why they are always looking for something bad." A petition was recently created on the internet, calling upon the government to forgive Ronaldo his tax debt, to deter him from moving to a club abroad. It sounds crazy, and yet more than 2,200 people have already signed the petition. The fans' love for their idols is sometimes boundless. The ironic turn of events in the Ronaldo case is that he owes all his tax troubles to a man who is in fact one of his biggest supporters. The initiator of Football Leaks is sitting in a park in an Eastern European city, wearing shorts, a T-shirt and sandals. He calls himself John. Like Ronaldo, he's from Portugal. "I love football," he says. "And I hate what these greedy men are doing to it. It has to end." DER SPIEGEL has been in contact with the whistleblower, who unleashed the earthquake in La Finca with his documents, for almost two years now. Ronaldo, Mourinho, Mendes. "Because of us, the authorities began taking a closer look at the corruption, the tax fraud and the money laundering in football," says John, adding that there are more revelations on the way. The U.S. sports network ESPN named John one of the 20 most influential figures in global football for 2017. But many club managers and agents hate him. Some call him a criminal, while others want to see him burn in hell, so that all the turmoil can finally come to an end, normalcy can return to the sport and everyone can go back to engaging in their dirty deals without scrutiny. UEFA President Ceferin is one of the few major voices in football who do not condemn John, Football Leaks and DER SPIEGEL. "The scope of the revelations surprised me. It isn't good for the sport's reputation at all," says Ceferin, "but it is a good thing that these things are coming to light, because it means that they will stop taking place -- or at least will happen only rarely." He suggests that footballers rely only on government-registered tax accountants for their tax returns and financial dealings in the future. "We need to develop a system that helps the players," says Ceferin. The U.S. House of Representatives has passed a bill to renew and expand sanctions against Russia that were imposed after Russia’s annexation of Crimea. The bill, however, could also have a negative impact on some European energy projects that are linked to Russian companies. Since the initial bill was first approved by the Senate on June 15, the European Union has been lobbying U.S. lawmakers to revise the proposed legislation and reduce its effects on third countries. But lobbying is essentially all the EU can do at this point; it can’t retaliate against the U.S. because such a move would require approval from all member states, which is unlikely. The final text of the new bill hasn’t yet been made available, but the initial version that was voted on in June would have imposed sanctions against any foreign person or entity that has significant investments in certain Russian energy projects. This means that even non-U.S. companies involved with Russian businesses could be targeted. It is this part of the bill that has drawn criticism from the EU, particularly Germany, because European companies are involved in several energy projects with Russian businesses. On June 16, a spokesman for German Chancellor Angela Merkel said Germany generally does not support sanctions that have effects on third countries. EU efforts to convince U.S. lawmakers to revise the bill have had limited results. According to media reports, they did manage to increase the percentage of Russian participation required in an energy project to qualify for sanctions from 10 to 30 percent. But this still means that the sanctions could affect some functioning infrastructure projects like the Baltic LNG project (run by Shell and Gazprom), the Blue Stream pipeline (run by Italy’s Eni and Gazprom), CPC pipeline (run by Shell, Eni and Rosneft) and Nord Stream 1 (run by various European firms and Gazprom). If these European companies decide to increase their level of investment in these projects, they can be penalized under the U.S. sanctions bill. The bill could also penalize companies involved in Nord Stream 2, a joint project between German and Austrian companies and Russia’s Gazprom. Nord Stream 2 will enable Russian gas to be delivered to Germany without using the existing pipeline that runs through Ukraine. This project has been the subject of U.S. criticism before. It would make it easier for Russia to cut off gas supplies to Ukraine – without any subsequent effect on other European consumers – and allow Moscow to use energy as a tool to influence Kiev. The European Commission has backed that argument and has repeatedly said Nord Stream 2 is inconsistent with European energy security goals. But Germany has a different perspective; it sees the project as another way to secure its energy needs, and it wants to protect the interests of German companies. So while the EU and Germany both oppose the U.S. sanctions bill, they do so for different reasons. Germany has a direct interest in some of the projects that could be affected by the bill, while the EU just doesn’t want the U.S. meddling in European affairs. The European Commission has said it will hold a meeting on July 26, after the House vote, to discuss retaliatory measures. Representatives from the commission said the EU will respond to the bill in kind. But imposing any measures that could penalize U.S. businesses operating in the EU would be difficult – all initiatives proposed by the commission need to be approved by the EU Council, which would require agreement from all member states, and this is unlikely. Member states don’t share the same interests when it comes to energy, and some will be reluctant to retaliate against a bill that hinders Nord Stream 2 because they don’t support the project in the first place. In Poland, for example, the anti-monopoly agency blocked the formation of a consortium between Gazprom and its European partners that would have run Nord Stream 2, forcing the companies to seek other legal routes to proceed. The Baltic states also have publicly resisted the project – they don’t want to see Europe’s dependence on Russian gas increase. Eastern European states, which view Russia as their main security threat, have not objected to the U.S. sanctions bill. The main opposition in Europe to the sanctions bill, therefore, comes from Western Europe, which doesn’t see Russia as a major threat and which has significant business ties with Russian companies. But given that Western European countries wield substantial power in the EU, the European Commission still wants to find some way to respond to the bill. One option is to file a complaint with the World Trade Organization, claiming that the sanctions unfairly disadvantage European companies, and to impose higher tariffs for U.S. exports to the EU. But the commission would first need to determine that imposing higher tariffs on U.S. exports would be beneficial for the EU – it’s not clear yet that this is the case. The commission would then need to gather a lot of information to compile a case against the U.S., and this would take quite some time. The commission could also encourage European companies to fight the sanctions in international courts. But the companies would have to decide themselves whether they want to take this step, and even if they do, a resolution could take years. The EU ultimately can do little to retaliate at this point. The bloc’s decision-making process and the level of bureaucracy involved prevent it from amassing a coherent response. And the ability of individual member states to respond independent of Brussels is restricted – as members of the common market, they can’t take action on a bilateral level against a third party. Thus, agreement on how to proceed is required from across the bloc. But considering that European states can’t agree on much these days, let alone their views on Moscow, it’s unlikely that they will come to an agreement on how to respond to the sanctions bill. How Would Health-Care Reform Affect Patient Health? CAMBRIDGE – Health-care reform is the major policy issue commanding attention in the United States. A crucial feature of the debate is the official estimate of the number of individuals who would lose their health insurance under the various plans that have been proposed to repeal and replace the existing Affordable Care Act (better known as “Obamacare”). The prospect that repealing Obamacare would cause more than 20 million people to lose their formal insurance coverage, as the Congressional Budget Office has estimated, is understandably a serious barrier to legislative progress. It is important, therefore, to understand just what that would mean in practice, and how much it would actually affect the health of those who lose their formal insurance. The primary reason for the loss of insurance in the proposals to repeal and replace Obamacare is the projected decline in Medicaid coverage. Medicaid is the joint federal-state health-care program in which the federal government defines who is eligible, stipulates which benefits must be provided, and finances those benefits based on a formula whereby states with low average incomes receive a larger share of federal funding. People who qualify for Medicaid do receive substantially more care than those without formal insurance – more doctor visits, prescriptions, hospital admissions, etc. They also have substantially lower out-of-pocket medical costs than the uninsured, including the elimination of “catastrophic” out-of-pocket costs. As a result, they are also much less likely to skip paying other bills because of medical debts or to have nonmedical bills sent to collection. If reform legislation reduces Medicaid benefits, the individuals who lose benefits would continue to receive free care in outpatient departments, emergency rooms, and as hospital in-patients. In general, this is paid for by the states through their “free care” programs. And individuals who are billed for services understand that providers generally do not attempt to collect from low-income patients. Moreover, those who are no longer in the Medicaid program do not lose care from the many doctors who now refuse to serve Medicaid patients because of the low fees allowed in the program. The most important fact to bear in mind is that enrollees in Medicaid show no significant improvement in clinical physical health outcomes. This was the main finding of a large “natural experiment” supported by the federal government. The experiment occurred when the state of Oregon opened enrollment to Medicaid in 2008, after the opportunity had been closed for many years. Because the state did not have enough funds to accept all 90,000 individuals who wanted to enroll, it conducted a lottery to select about 30,000 individuals who were given the opportunity to apply for Medicaid. A federally financed research team of physicians and health-care economists examined hospital records and other clinical information and also spoke with the enrollees and with those not admitted. The researchers concluded that self-reported overall health and depression improved among those who enrolled in Medicaid, and that there was an increase in the diagnosis and treatment of diabetes for this group. But there was no significant improvement in clinical physical outcomes for conditions including hypertension, high cholesterol, or diabetes. Although the evidence indicates that the proposed cutbacks in federal dollars for Medicaid would not harm the physical health of those who lost their coverage, the reduction would force states to increase spending on their free-care programs. The cuts would also increase the costs to hospitals that provide care that is not reimbursed. It is not surprising that the prospect of adding these costs for tens of millions of patients to states’ budgets and to hospital costs causes state governors and hospital administrators to protest when Congress proposes cutting back on the Medicaid program. But it is important for the public and members of Congress to understand the real reason for their opposition.